Spend some time learning more about the historic Nutmeg State. With options history buffs wouldn’t bat an eye at and multiple excursions for nature-lovers, long-time residents and first time visitors will be wowed with what our small state has to offer. 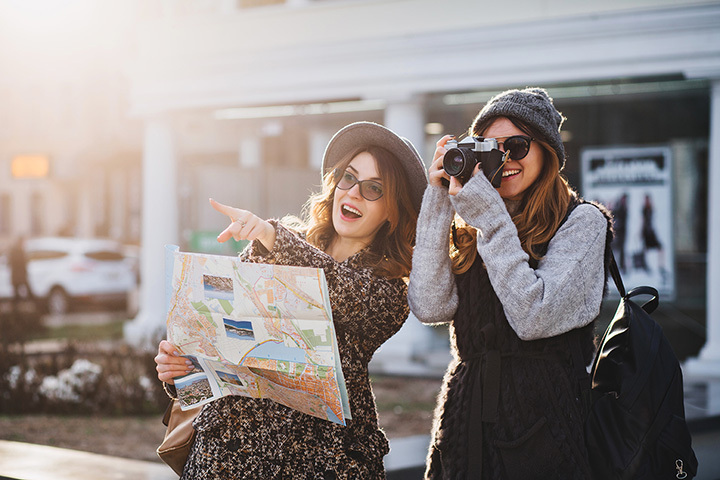 Here are the nine best sightseeing tours in Connecticut. Think that you know it all about Connecticut? Think again—for proud CT natives who aced history classes, the Shoeleather Walking Tours of Hartford will stretch your knowledge even further. Shoeleather’s affordable walking tours cover lesser-known historical figures such as Big Bill Haywood and Josephine Bennett. The tours offered are so good they’ve been featured in Better Homes and Gardens magazine and other top local and nationwide media outlets. With options for half-day or sunset cruises in calm waters, a sightseeing cruise with Argia Mystic is a top choice for seeing Connecticut’s beautiful shoreline and historic sights. Keep your eyes peeled for lighthouses, the Mystic River Bascule Bridge, Mystic Seaport, and more. Guests will also appreciate that the entire tour isn’t narrated, as the tour is also meant for relaxation and appreciation of the coast’s natural beauty. Hop on a 2.5-hour tour of the Connecticut River Valley via a historic 1800s steam train. Talk about touring in style! Learn about the birds and habitats of the regions while passing through tidal wetlands and nature preserves. Passengers will then transfer to a riverboat to see Gillette Castle, the Goodspeed Opera House, and more. Deemed New Haven’s spookiest tours, Ghosts of New Haven is perfect for those that like things a little scary! You can book private ghost tours with an expert guide of the area. Ghosts of New Haven employs “scholars and storytellers that haven published research and stores on ghosts.” Not only is this tour entertaining, but it’s wildly informative and historic. CTBikes offers combination bike and boat tours to learn about historic sites in Connecticut and enjoy its coast. See historic Guilford, Stony Creek, the Henry Whitfield House, and more both by bike and boat. Another tour option is more challenging, with a 25-mile ride through Westport and Southport into Fairfield, or an even longer 40-mile Fairfield County tour. Private tours can be arranged through other historic and scenic areas of Connecticut upon request. Cruise along Connecticut River, enjoying a variety of tour options including family-friendly tours, birdwatching, or sunset cruises. Regular tours are narrated with the crew and captain pointing out Gillette Castle and other historic sites as well as local wildlife. Other cruise options focus on specific Connecticut highlights such as the lighthouse cruise that takes passengers by Old Saybrook and Old Lyme lighthouses and surrounding towns. Leaving from Connecticut’s capital city, Hartford Belle Cruises offers several sightseeing options with their most popular being the 90-minute long Hartford-Wethersfield Cove cruise. This tour takes passengers down the Connecticut River, highlighting the beautiful Hartford Riverfront area and also offers a lunch time option for busy professionals. Held annually, the Tour of the Litchfield Hills has biking and walking tour options through scenic areas of the Litchfield Hills. With the aim to raise money for local charities, this relaxed tour is a casual way to see the area and meet area residents. Tours are held by the League of Women Voters of Connecticut Education Fund. The tours are free, too. All you have to do is check online to see when tours are running so you can hop in on one. The capitol was opened in 1878 and is situated among the scenic Bushnell Park. The building was designed by Richard M. Upjohn, a cathedral architect who gave the statehouse a High Victorian Gothic style.